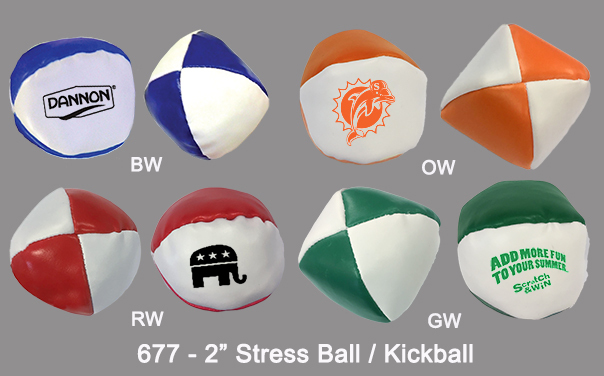 CW677 - 2-Color Vinyl Kickball 2"
A delightful two colored kickball with a diameter of 2". Made from high quality polyurethane material and available in a variety of bright fashionable colors as shown. Semi Soft and squeezable also widely used as a stress ball. Also known as a hacky sack ball. Perfect for trade shows, sports events and other uses. Case Pack=250 Pieces Case Weight=28 Lbs Case Size Approximately 17" x 17" x 14"